This weekend I’ve been at home, in Hobart, and at something new(ish), which is MONA. 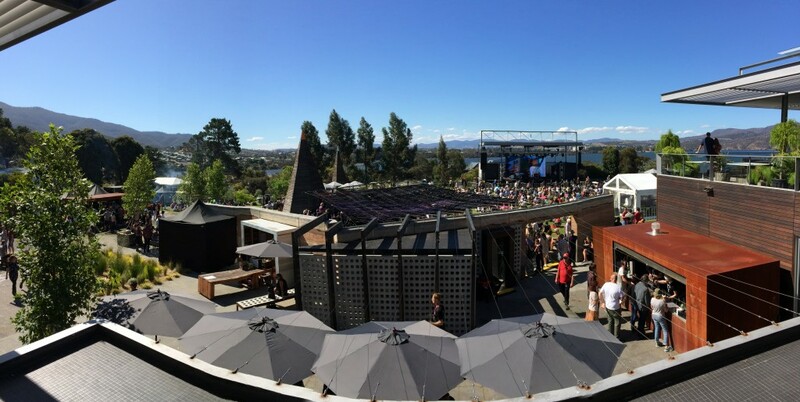 The annual MONA Foma festival (MoFo) is entirely located at the site of the gallery this year, which means some of the transformative power of its former location in the middle of Hobart city is lost. Overall, mMoFo is low-key, quiet, attenuated because it now sprawls over the whole site and because the lineup this year is a tad obtuse. What I’ve seen has been good but you do get considerably bigger bang for your buck at mainland festivals like our very own Blue Mountains Music Festival. The MoFo App is dreadful (no cross-referencing) and I’ll be writing to suggest they copy the Sydney Film Festival’s app, which is a delight, as well as their ticketing system. I enjoyed the SA Theatre Co’s Beckett mightily though – if enjoy is the right word. Still, I’m home and with my dearest friends. Had a great stay down south that culminated in finding the author of a Great War diary my dear girlfriend Sue, collector extraordinaire, had scavenged from the South Hobart tip. Via Facebook she was alerted to a picture of the author and what a cheeky cove he was. It’s never long enough here. And while at MONA, a chance to think about art versus archaeology, and art versus history. 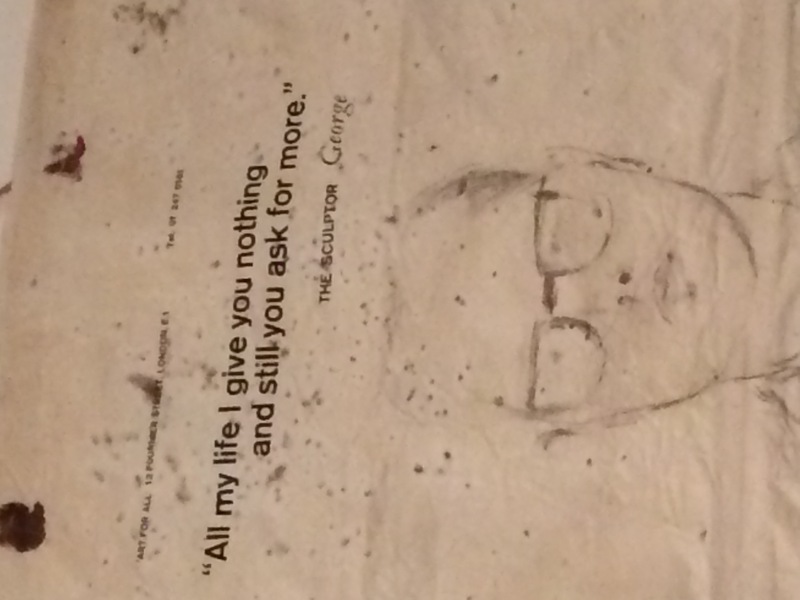 Gilbert and George, cheeky critics of social mores, old, new and future. A giant installation of books formed by lead leaves and glass bindings – which makes me think I’d much rather read the archaeology and built heritage of, say, the Pasminco Zinc Refinery than a constructed piece. Then a piece on Hiroshima that recollected archive boxes and got me, but of course you couldn’t touch it and what use are archives you can’t touch? When boxes evoke things lost, as they did in the show today, I can get it, but tell a historian to keep their hands off it and you’ll get a very erudite tantrum. Then again, perhaps my son is right to say, if you let everyone touch archives they will be destroyed. Oh yes, but I am not anyone. 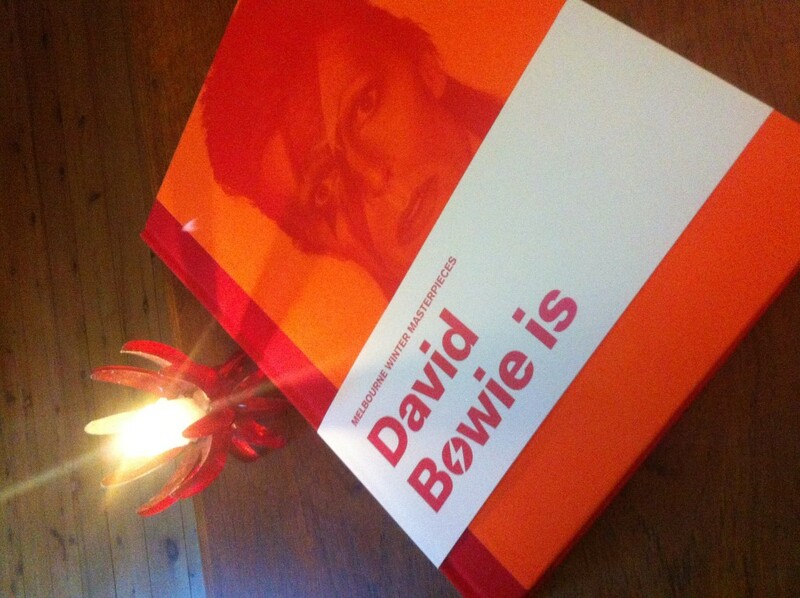 This is also the week David Bowie died. An archivist (of himself), a songster, a historian (of himself), a storyteller magician, a Black Star. Vale and RIP.